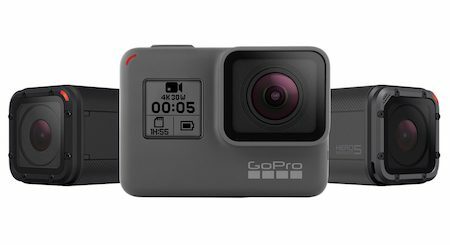 Hey action camera nerds, GoPro just added a new number to their Hero line (7 it seems) and it does a bunch of cool new stuff that most people will never use, but if you’re into these things then you’re probably going to want to upgrade to the newest one when they become available on September 27, 2018. Or, to a couple of them since it seems GoPro shooters can never have too many of the difficult to use, annoying little boxes of image capturing technology. For all the official details, please follow the jump. Camera nerds rejoice. The new GoPro Hero6 Black features 4K60 and 1080p240 packed into the same body that the Hero5 Black came in. If those numbers mean anything to you then you’re probably as excited as GoPro CEO Nick Woodman is. They also launched an “immersive 5.2K spherical content” camera that will easily make those surround videos that are so annoying to pan around in. 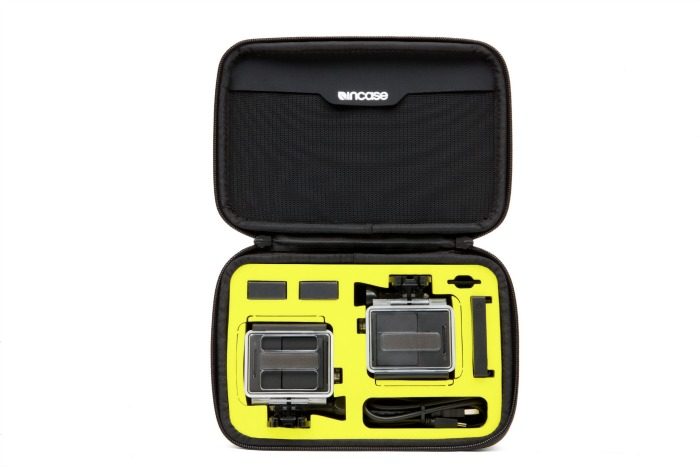 To buy one click here, for the official word from GoPro, please follow the jump. GoPro founder Nick Woodman unpacked a drone load of product today (including the company’s long-awaited financial hail mary, the Karma drone) during a press conference at Squaw Valley Resort, California. In addition to the drone, the list includes a new line of Hero5 cameras, and a cloud-based software package designed to make accessing GoPro’s huge files much easier. While we’re personally sick and tired of our neighbors continually flying their drones over our house (net gun? ), this GoPro Karma will certainly integrate well with GoPro’s line of cameras and looks to be great for RC hobbiests. The move to the cloud is a step in the right direction as GoPro looks to move their business past hardware an into digital services. For the official word from GoPro, please follow the jump. Not really sure how things could be worse for GoPro. They’ve announced terrible first quarter results and delayed launching their next big product, the Karma drone, according to a story on The Verge. [GoPro] saw its revenue drop by 49.5 percent from the same period in 2015, and it swung from a $22 million profit to a $121 million loss. The company also announced that its new drone, the Karma, will be delayed until the winter holiday. 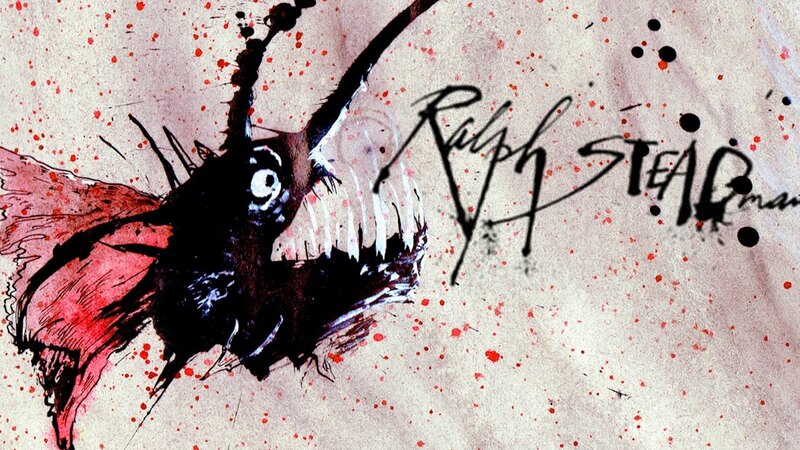 It was originally slated to be released in the first half of this year. Yes, a $121 million loss for the quarter. We’ve never really understood the mass appeal of drones, or of GoPro cameras for that matter, so we guess we don’t find much of this recent news all that surprising. Click here for the official GoPro financials, or here for some of Jeff Harbaugh’s thoughts. 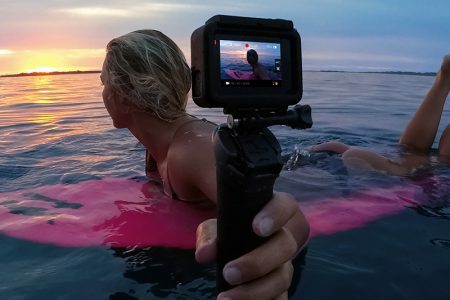 GoPole, our favorite action accessories company, has announced that they’re now offering attachments for smartphones as well as other action cameras. GoPole is no longer just for your GoPro camera! The Universal adapter (MSRP $12.99) will connect any camera featuring a 1/4 inch-20 tripod connection to any existing GoPole mount. Compatible cameras include Sony Action Cam, Garmin VIRB, Polaroid Cube and more. . . Consumers can also effortlessly capture selfies with their mobile device as well, thanks to the Mobile Clip (MSRP $14.99). This adjustable clip allows users to attach small or large mobile phones, such as the iPhone 6, iPhone 6 Plus, and Samsung Galaxy S6, to any standard GoPro mount. All of their stuff works fine with our Garmin Virb XE already, but this is good news for everyone with a image capturing device. For a complete overview of their new mounts, solar chargers, and more, please follow the jump. Those who’ve actually used the GoPro camera that their mom’s got them last Christmas know what a nightmare it can be keeping all the pieces together. There’s the cords, the cases, the mounts. Never having the right piece was enough to make us mothball our camera for weeks at a time. But incase has a solution with their new Mono Kit. The Mono Kit, an innovative silicone travel case that serves as a protective container for one GoPro® camera as well as batteries and accessories; the Dual Kit, which holds two GoPro® cameras and the Accessory Cartridge, the ideal travel bag for camera cords, batteries, mounts, housings and back doors. It sounds like a match made in heaven. 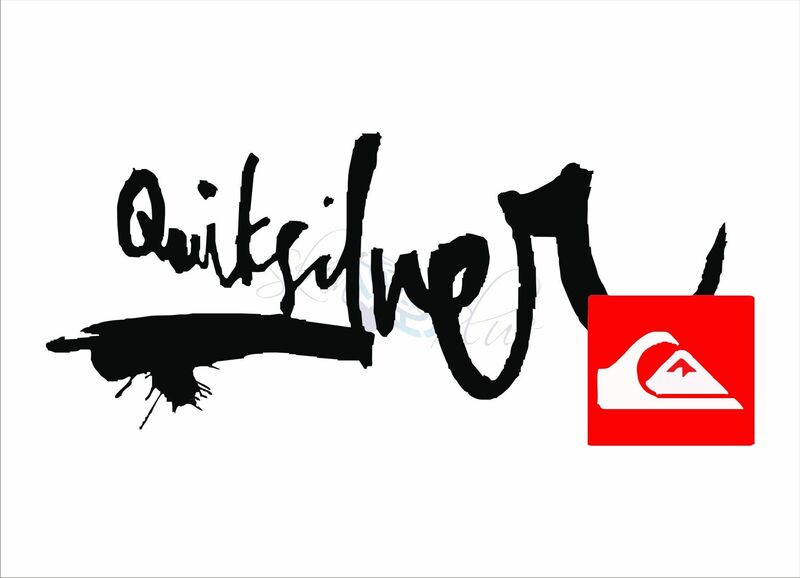 The favorite selfie camera of surfers everywhere (GoPro) is now an official sponsor of the favorite surf tour (ASP WCT) of surfers everywhere. We haven’t had the best of luck creating anything worth watching with a GoPro, however, we know that the GoPro camera has done more to shape the way we all see action sports than any single invention in the history of man. Period. Yes, it’s that big of a deal. Now, GoPro has won an Emmy from the National Academy of Television Arts and Sciences (Natas, natas, natas . . .) in a category they basically created: Inexpensive Small Rugged HD Camcorders. For the rest of the story, watch the edit. Until the release of the GoPro app (iPhone, Android, and Windows) we’d pretty much thrown in the towel on ever figuring out how to use the overly complicated little action POV cameras. With no easy way to review footage or be certain the camera was even on or pointed in the right direction, we left the GoPros to the professional video guys (and the genius kids). The free GoPro app, however, has changed all that. Now, with the iPhone app connected to the camera, reviewing shots, grabbing photos and video for Instagram, or setting the cameras functions is as easy as flipping a few sliders on our phone. The GoPro camera is now simply an amazing image gathering extension to our iPhone. Today, as GoPro has announced that the Hero3 has been upgraded to the Hero3+, we’ve become even bigger fans. So what’s the word on the new rig? The Hero3+ camera is the same size as the Hero3, but features a 30 percent increase in battery life, faster WIFI (four times faster) and a new lens for sharper video and stills. They’ve also added a new “SuperView” video mode that is even wider that before. 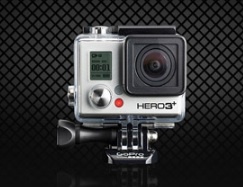 And when the Hero3+ is used with the new GoPro waterproof housing the total rig is reportedly 20 percent lighter. If you’ve put off buying a GoPro because you didn’t want to deal with the details, worry no more. With the free GoPro Studio 2.0 editing app for Mac and Windows grabbing great video and mashing it down into a quality edit has never been easier.